One Ability shall unite them all. Hey there! Thanks for dropping by CorripianChronicles! Take a look around and grab the RSS feed to stay updated. See you around! I will give a warning that this post isn’t going to be about how Book Two is finished and I have a release date and everything is great and hey actually I’ve got the other books written too and everyone can have copies for free yayyyyy. This post is not about that. This post will be more about my recent realizations in writing and in life in general. And maybe I’ll throw in some book stuff at the end. But the truth is – my first confession – that I haven’t really been working on it. Book two has been minimized at the bottom of my computer screen – fully written, but unedited – for months now. I’ve opened it a few times but haven’t spent much more than twenty minutes on it in one sitting. How? How could I do this? This is the question I’ve been asking myself. If you knew me when I first started writing this series (or even if you’ve read my earlier posts), you will know how much this story meant to me. And whatever you thought it meant to me, it meant so much more because there were things about writing and fleshing out my characters’ lives that helped me in ways I still can’t explain to others. But now – seemingly so suddenly – the meaning of it has fizzled out. I finished Book Two on a high note and then something happened: I stopped writing. Here’s the thing about writing (and most things, really) – you have to keep doing it in order to keep up your talent, interest, etc. I also like drawing, but I don’t do it often anymore so when I do draw, I end up feeling like I’m wasting time and that I could be doing something far more beneficial. That’s a little like what happened with my book. And now follows my realization: The world is changing. When I began writing Mark of the Corripian, I was sixteen. I was a fairly confident sixteen year old, but shy and pretty lonely in the evenings because I had nowhere to go and not a large group of friends. The world was a big place, but I had only seen a small part of it, and I was convinced that what I saw was what everywhere else was like. Sure, I knew that there were starving children and wars and horrible injustices going on all around me, but I was comfortable in my own little bubble of safety. And that bubble was often pretty empty, so I found a way to fill it: writing. Thus began my initial journey. I developed this story originally to entertain a few of my friends, but also to fill my terribly bland bubble world. And for a long time my plan succeeded. My characters filled a hole in my heart that I hadn’t realized was there. I hid behind the story when struggles came up in my life. I wrote about my own experiences, but I covered myself in the guise of fictional characters. Then, gradually, things started changing. Firstly, half of those friends I wrote the story for have faded from my life. Sure they’re still there (and a shout out to any of them who might read this! ), but most have taken different paths in life, and our paths do not cross as often as before. This has been a big transition for me. Friends have come and gone before in life but there’s a difference when a friend from elementary school goes to a different school and you never see them again…and watching people who you have spent half your life with moving in a completely different direction as you. Since leaving college, I’ve experienced what it’s really like to have “long-distance friends,” and it’s hard. It’s so much different when you’re used to seeing these people every day at school, knowing everything about their life, and then now you see them again or hear from a mutual friend that they cut their hair or transferred schools or changed majors… You send them a text or call them and comment about it and are informed that this happened “ages ago.” What? How could I have missed that? This transformation from knowing these people more than I know myself to not even knowing something so seemingly trivial as when they got a new pet fish has been one of the more difficult transitions in my life. And when this change started happening, I used my book as a shield. I hid behind the story because my characters, though they grew as the story progressed, never really changed. I knew my characters, my characters knew me, and we had a mutual understanding of how things are and how they always will be. Referring back to my realization, I now understand that change is evident, and whether or not we like it, it is necessary. I had created this elaborate world in the pages of a book – printed words that now cannot be altered – when the world around me was leaving me behind, alone and oblivious in my bubble of safety. I can’t exactly pinpoint what triggered this realization. But I will say that my time in Korea certainly fueled it. Being so far away from home, away from all I had grown up in and the people who have known me since I was a child, I was really able to see things clearly. My parents were thousands of miles away, and so were all the people in my life that I had always tried so hard to please. So I could, for the first time it seemed, make choices without directly influencing them. And I will say that it was a freeing sensation. I was really happy. And in case you’re wondering, no I didn’t do all those crazy stuff that I never could do with my parents knowing my every plan. Because, when I was on my own, I was able to realize that even though I could do all those things, I had no reason to. I found that my greatest joy comes from helping other people. Even just passing on a smile warms my heart and excites me more than any of those things I could have done, now that I was away from home. And more than anything, I gained a better understanding, through my own study and prayer, of who this God is that I’ve grown up believing in. So here’s confession number two: I don’t find as much joy in writing as I used to. This has also been very difficult for me to process. It falls along the same category as losing a friend because my writing was always there for me when I didn’t have a physical person to talk to. But lately writing has become a chore for me, and I feel very disconnected from my characters. I WILL FINISH THIS STORY. Sometimes it’s okay to escape reality. Sometimes you need to take a breath of fresh air when everything around you is uncertain, when everyone is changing, when you have no idea what in the world is going on. Sometimes you need a story to read that transports you away from all of that for even just a moment, so that you can be a kid again. You can enter your little bubble world and be completely oblivious to reality. Because when you turn that last page, you will inevitably return to the “real world,” to your realizations, to changes. So please, don’t give up on Book Two, or me, or on fiction in general like I did for a while. Because I think there is a time to accept reality, and there is also a time to embrace fantasy. But there must, like everything else, be a balance of the two. I want the readers of Mark of the Corripian to know that it is through these realizations and many months of questioning my reasons for writing that I have again learned to enjoy writing, and I am getting to know my characters all over again. It’s like seeing an old friend you haven’t seen in ages and catching up right where you left off before. Much has happened since last post. Much of nothing, really. But I shall make my little much of nothing terribly fascinating. Firstly, I began an extraordinarily marvelous new journey called Transferring Colleges. This basically means I get to be faced with the wonderful experience called “Being A Freshman” all over again. Clean slate. New people. New teachers. Et cetera. (Fun fact, I accidentally typed an extra letter in “et cetera,” and my computer changed it into “et cereal.” Et cereal. I believe this should become a thing, yes?) Some people may find this to be a terrifying, horrible, tiring thing to go through, not once, but twice (I transferred to my last college in the spring semester). I, however, seem to adapt well to change. As long as I have Rocky (my laptop – he is, in fact, named after THE Rocky), my pillow, some sticky notes, and a variety of pens and pencils. Oh, and clothes, I guess. Those come in handy occasionally. That’s basically all I need, and I’m quite dandy. As for bookly things, I’ve had a couple events since I last blogged! I had a book signing at Little Professor Book Center and the Dothan Main Library. (Thanks to everyone who came out to visit!) I will also be having a book signing at the Vestavia Public Library on Sunday, October 26th, and I would LOVE for you to come! Click here for more information! I will take a quick intermission from bookly things (don’t worry, I will have Book 2 news to share in a little bit) to tell you about my delightful weekend. My friend and I drove up (over?) to the University of Alabama in Tuscaloosa to visit our mutual friend and have an awesome weekend together. We ate waaaaay too much candy (and pizza), watched the Book 4 premier of The Legend of Korra (if you’re not watching this, then, um, why? ), watched waaaay too much Korean drama (I’m looking at you, SK), went to bed waaaaay too late, and then woke up waaaay too late. THEN this afternoon we went to the theater to watch The Maze Runner! I was very proud of myself as I walked into the theater because it has been a few years since I’ve seen a book-turned-movie in which I actually read the book. But I spent the last two weeks pushing through that thing, and I finished it. (You can see my thoughts on the book here!) Then I saw the movie, and for the first time in a while (I had forgotten what it was like), I was watching a movie and pointing out E.V.E.R.Y. detail that was incorrect. Haha. Overall, the movie was very great (my friends, neither of which had read the book, loved it), and I was glad to have seen it. I will definitely be watching (and reading) the sequel! Now. Onto MY book. Book 2. If you noticed that little progress box I have on the side of my blog, it says I’ve passed 110,000 words on Book 2. WOW. I mean, I know I’ve already written a whole book, but just looking at that word count takes me for a loop. Sometimes when I look at my book, I still can’t believe I WROTE that. I wrote a book. Weird. Anywho, I’ve written quite a few words lately, and unfortunately, this book has proven to be more difficult to write than its predecessor. I know exactly what NEEDS to be written – I have it all planned out – but the execution can sometimes be a struggle. This book delves deeper into both characters, and both are headed to dark places in their lives. More blood is shed in this book than the last, and that in itself has been hard for me. (These are my children, remember?) A few days ago I had to kill off a character. On the character’s birthday. (No, that was not intentional… I actually realized it the day after I had written the scene.) That was the first time since I started writing that I actually killed off one of the named characters, and it was HARD. I hadn’t realized how hard it was going to be until I actually had to do it. I was very thankful I was in my room while writing that scene, because I actually started crying a little. It was just not a good day for me (or this character, obviously). But through the death, other characters were able to grow, and I’m so thankful for that. I’m so proud to see my characters grow and change and learn from their experiences, and I just want to give them all great big hugs and rustle their hair and tell them how much I love them. My current estimate is that I have six more chapters plus the epilogue to write. It can take me anywhere from twenty minutes to three weeks to write a single chapter, based on its complexity and emotional turmoil (hey, I’m human; sometimes I just gotta take a break from my own savagery). My deadline is December 8th (my birthday!). That said, I hope to finish sooner than that! And then you guys can experience all the emotional turmoil I have put myself through. Yay!! I hope you all have a delightful night and a wonderful October! The aforementioned word essentially describes my life. Every. Day. You would think after writing a book, maybe I would have a better idea of what in the world I would like to say, right? Nope. Especially when I’m writing… There’s always that word, that perfect word, that would make the sentence superb, but I can’t remember the dang word. SO. FRUSTRATING. I haven’t been doing much writing lately, though. Aside from the stresses of school (finals are coming up), my family has been going through a very hard time over the past few weeks. My papa was sick and hospitalized for over a month, and he passed away last week. Seeing him sick, watching the way my family acted around him, the way everyone was affected by his passing – it was all a novel experience to me. I’ve never lost someone close to me, so I’ve never truly felt that kind of pain before. Papa was a Christian, so I do have assurance that he is in peace with God now, but there’s still that ache of not being with him, of not ever being ever to see him again on this earth. I don’t believe one can truly understand what it’s like to lose someone until it’s happened to them – and I believe that everyone feels it in a different way. Which is one reason why I choose to never use the phrase “I understand exactly what you’re going through” because you can’t ever truly understand how another feels. Everyone experiences pain and loss differently. Some people deal with it silently all while going about their daily activities while others completely shut down for a few days. I won’t ever say that this experience has allowed me to now understand exactly what other people are feeling when they go through a loss in their family, but I will say I can now feel a special kind of empathy for another. Sometimes the best thing someone can do is simply be there for another. For me personally, it wasn’t the words people said that meant so much to me. It was their presence. I am so thankful for the abundance of love that has been shown to my family throughout the month Papa was in the hospital and the week since his passing. 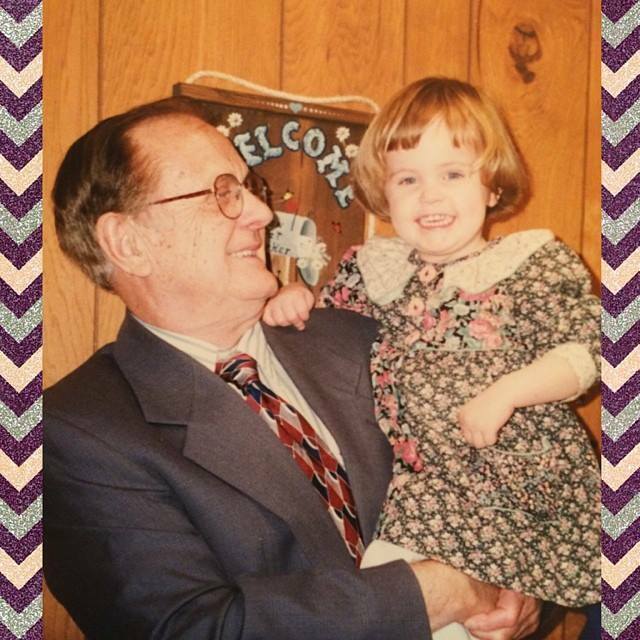 It’s so wonderful to know how loved and respected my papa was among so many different people. Now I tell you all this to say that this experience has given me some valuable knowledge for my writing, as well. Plenty of characters in the Corripian Chronicles deal with loss, and before this I’ve always written it on assumption of how people feel, or just by watching others around me. Now I know. I know that it’s not just a pain that comes at the moment of the loss and skips away soon after. It’s the pain that flares up with the mention of a memory, a moment, a word. It’s the pain of realizing that those memories, moments, and words are all you have left of the person – so you hold on to them so tightly because you’re afraid that if you ever, ever forget, that person will be gone forever. I’ve always thought it so cliché when I’ve heard it before, but it’s so true. You want to hold on to everything you have left of that person because otherwise, you’re afraid you’ll dishonor their memory in some way. I now have a greater understanding of how Zenia feels about her father, about why she is so fervent to remember him and continue to uphold his legacy. That is her way of dealing with the grief and pain of her loss. And then there’s Xavier. I can also better understand where he comes from. It’s quite the opposite of Zenia. He’s felt the pain of loss and grief, and he’s decided that he doesn’t want to ever, ever feel it again. That’s his way of coping (not a good way), and he will eventually figure out that there are better ways. Pushing all hurtful thoughts and feelings away gives you no room to grow as a person. And I hope that’s something you will see through Xavier as the series progresses. He can’t truly grow and change until he realizes that he cannot keep his past hidden forever. The memories we have, however painful, will shape us into the persons we become. And any attempt to hide those memories, to pretend they never happened, will only cripple us in the future. Enough of all that deep stuff. On a brighter note, I have exactly five days left of Freshman year of college. WhooOOOoOOOoOOOoOOOoOOO!! And on a super exciting note, I’m going to try to finish Book 2 by summer’s end. (Cue the Yoda saying “Try not. Do…or do not. There is no try.” *Gosh, Yoda, leave me alone*) I’m going to do my very, very best as an author (and college student who will also probably be working part- or full-time over the summer) to complete my first draft of Book 2 in the Corripian Chronicles. Maybe it will happen. Maybe not. But goals are good to set. So that’s what I’m doing. You know what else I’m going to do this summer? I’m going to learn how to change a tire and balance a checkbook. Because those both sound like extremely boring, useful things to know how to do. I hope you all have a delightful weekend – and don’t forget to hug your mother super tightly this weekend and thank her for being awesome. Oh, and write her a card or give her tasty food. Moms like that stuff (at least mine does…). Three years ago today I was supposed to be writing a research paper. Three years ago today I got distracted, as I do fairly often. Three years ago today the characters Xavier and Zenia were born. It’s humbling to consider all that has changed in these three years. What began as a way to pass the time turned into my own way of answering all the questions in my life that can’t easily be asked. It started with a simple idea. I had seen a commercial earlier that week about a TV show involving witness protection. Witness protection? That sounds interesting. Sixteen-year-old me had plenty of free time, but I wasn’t dedicated enough at that point to actually research witness protection. So what do I do? I make up my own world with my own rules. And then I plop a few characters onto the world. I can say straight off that the characters I called Zenia and Xavier were not the same then as they are now. The Z and X I know now would scoff at their earlier selves and probably chastise me for making such bland, one-dimensional characters. Hey, I was sixteen. And I was bored. It’s not like I was planning on writing a book. It began with two names: Zenia and Xavier. Zenia was the protagonist because she was a girl, and I’m a girl, and it just made sense. Duh. Zenia was going to be in witness protection. Because witness protection sounds cool. Duh. There had to be a reason she was in witness protection… MURDER! Because that’s an exciting way to start a story. Duh. The story was a way to entertain my friends (then caught up in the Twilight-obsession) with girlish giggles as they read the scenes where the all-too-perfect Xavier character came in to protect Zenia. In the beginning, when it was only about Zenia, he had no qualms with protecting a pitiful little girl who witnessed a brutal murder. Who would? I kept up with writing the story–no real plot in mind–for a few months. I can’t tell you exactly why it changed, other than the fact that I decided I wanted to actually finish the story. Maybe it was a few weeks earlier that my brother had told me I would never finish the story because I never finished anything. He was right. I was a quitter in a lot of things, especially if I didn’t get my way. I could’t stick to anything for any matter of time. And if something became too difficult to deal with… I quit. But the only thing I hated worse than doing something I no long felt like doing was someone telling me I couldn’t do something. So I promptly told my brother that I was going to finish this book, just you wait and see. And I did, approximately eight months later. I believe that is truly when my characters were “born.” That is when they gradually became fleshed out with personalities, quirks, and pasts. They suddenly became something more than a way to pass the time. They became a way for me to sort out the uncertainties in my life. They became my friends when I was lonely. They became my family when I was home from school, alone. It stopped being about giving my friends some entertainment and it became something I would cling to when I was in some dark moments of my life. My characters, unlike everything else in my life, remained stable. If you’ve read my post “The Meaning Behind Mark of the Corripian” then you have somewhat an idea behind why I created my characters the way I did. People have wondered why I made Zenia a softer, more sensitive heroine. There was a reason for that (which you can read in my previous post). And yes, she will grow tougher in the following books. But my biggest concern is whether or not she will be able to retain her loving, gentle personality after all that she most do in the war to come. War changes people, and I am eager to see what that will mean for Zenia in particular. Then there’s Xavier. His past is brushed upon in Book 1, but Book 2 will go far more into depth. A few more flashbacks… Some very dark. His past wasn’t all unicorns and daisies, if you hadn’t already gathered that. And I don’t see a need to cut corners in conveying that to the readers. Xavier was involved in some pretty sketchy stuff, and that’s not going to disappear just because he couldn’t remember it. It also means he doesn’t get to avoid the consequences of his actions. There always are some. And in Book 2, they may involve Zenia. So there’s a little idea of what I’m working on in Book 2. (; For those of you who keep asking me when it’s going to come out, I hope to finish my first complete draft this summer. I’ll let you know more when it’s closer to that time. It’s been a long time coming–but also so very, very short. Three years ago, a story was born. Three years ago I could have never imagined I’d be where I am today. But I’m so glad I am. So, the past couple weeks have been quite interesting for me. Firstly, if you haven’t noticed already…. MARK OF THE CORRIPIAN HAS OFFICIALLY BEEN RELEASED!!! Yes, well, it is true. The day has come (8 days ago, actually), and Mark of the Corripian is officially available for purchase in paperback and e-book format. If you haven’t gotten your copy yet, you should get one! I’d be delighted to hear your opinion on it. Speaking of books, I have started reading again. (I have phases when I don’t read for a while, and then I remember that I actually enjoy it, so I return to it.) Currently I’m just reading what is required in my World Lit class, plus a few extra stories in my excessively large world lit book. I’ve decided to read Beowulf since I haven’t had a chance to yet (this is for you, Susanna), and maybe I’ll finish it before I finish this semester of school (fingers crossed–I can be a slow/distracted reader at times). Oh, and I thought I’d answer a question today that I’ve been getting from a few people. Question: How do you find time to write while keeping up with other aspects of your life? My Answer: Life? What life? So, what does that have to do with writing? Much and little at the same time. When it comes to writing, my planning and non-procrastination mottos are completely abandoned. My books have no plans (except for their beginnings/endings and a few key scenes). If I should be writing on Book 2, and I really don’t feel like it, well, chances are, I will find something else to do, such as doodling or watching a movie or going to bed before any of the other college students even begin to think about sleep. Now, with that said, I still do manage to find the time to write, BUT, I only do it when I am in my “writing mood,” which, sadly, is not any time of the day. If it were, I would have had the entire series finished in maybe a year. Unfortunately, unless I am mentally prepared for writing, nothing will happen. I will end up staring at the words on this computer screen and getting NOTHING done, which benefits no one. So, how do I solve this grand predicament? I do as much homework, studying, etc., as soon as I can so that when I AM in a writing mood, I will be able to devote a section of my day to writing and not regret it later. I usually limit myself on the time I spend on homework (60-90 minute intervals), but with writing, there is no time limit. I write until I cannot write anymore, even if the time leaks into my bedtime (gasp!). Sometimes that is thirty minutes, sometimes it’s two or three hours. The results also vary–sometimes I write 2-4 chapters, and sometimes I manage to finish a single scene. Late last year (or maybe it was early this year) I made a goal to write 2,000 words a day. Since I’ve gotten to college, that goal has become rather impractical for me. As said previously, I’m only occasionally in the mood to write, so if I were to force myself to sit down and write, I’d only manage to type out garbage. For some writers, this is what they make themselves to do, and it works for them. (Not the part about the garbage, but about forcing themselves to write daily.) However, I’ve found that if I try to do that, my mind will get boggled, and I will only frustrate myself as I stare at the screen for hours on end (yes, this has happened before). So, while some authors will say that you must write EVERY day, I disagree. I think it’s good to figure out what works for you personally, even if it means spending a little more time to complete your work than other people believe is fit. Who are they to tell you how long you should spend on it? It’s your creation. Do what you know is right! 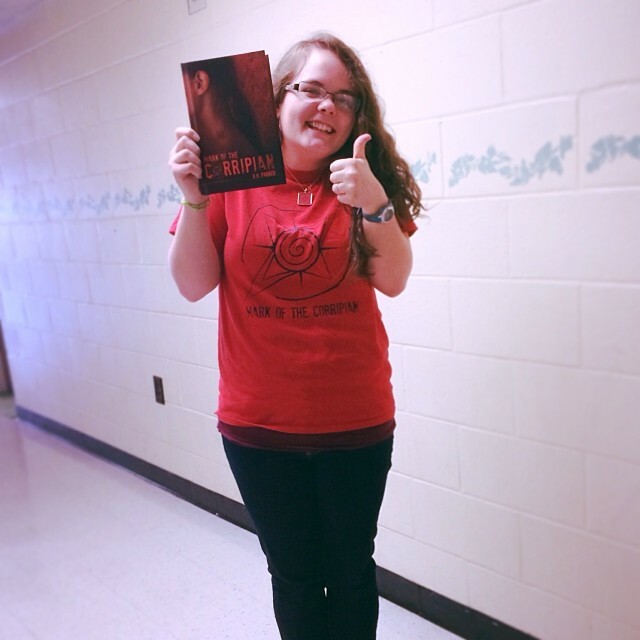 Got my book, my t-shirt, and–you can’t really see it, but–my necklace with the mark of the Corripian on it. Represent. Have a safe week, and say something nice to someone today, tomorrow, and the next day. Because nice people are cool. New Friends, College Life, and a Book Giveaway! Okay, so let’s begin with some news! Firstly, Mark of the Corripian is currently available for purchase in paperback format! It’s available through Amazon, Barnes&Noble, and Books A Million. Get your copy today! And if you are a book reviewer and would like a review copy, shoot me an email and I would be happy to send you one. Before you think I have led an incredibly dull life as a college student (I mean, dude, you haven’t lived until you’ve stayed up all night! ), I’d like to inform you that over the past couple of weeks I have befriended ten of the most awesome human beings ever. 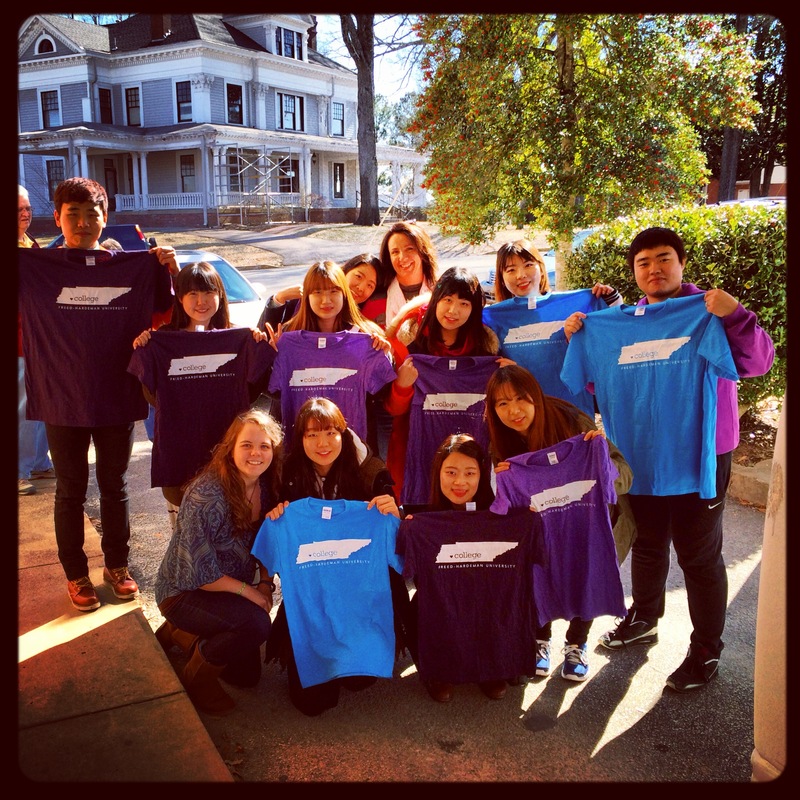 This is a group of students from Korea Christian University who visited Freed-Hardeman University for three weeks (my dorm mom is standing in the back, and there I am in the front left!). I cannot even begin to describe how these wonderful people have encouraged me and brightened my day on multiple occasions. They are so welcoming and loving, and I am so blessed to have met them, even if I only got to hang out with them for a short while. They introduced me to many different aspects of their Korean culture, including some really spicy food (check out my Instagram for pictures! ), a Korean movie where a bunch of people died (no English subtitles–I was lost the entire time), and a bunch of random Korean words that I love to say at random times (which always cracks up my new friends). I felt like a little kid at times after I’d learn a new word…for instance, I learned the word for “cold,” and, conveniently, it has been cold nearly every day here! So, of course, every time I was walking with them outside, I would proudly utter the Korean word for cold, and they would all get really excited, saying I was a “genius” for remembering. I would mentally pat myself on the back and continue on enjoying their company. These girls have been especially special (especially special?) to me. In merely three weeks they’ve shown me what it means to be a true friend, and I will never forget them! We’ve shopped at the local mall, gone bowling, played at the arcade, shared six different flavors of ice cream at Baskin Robins, watched a few movies with Korean subtitles, and eaten a couple different Korean meals together, not to mention the many other meals in the university’s cafeteria. 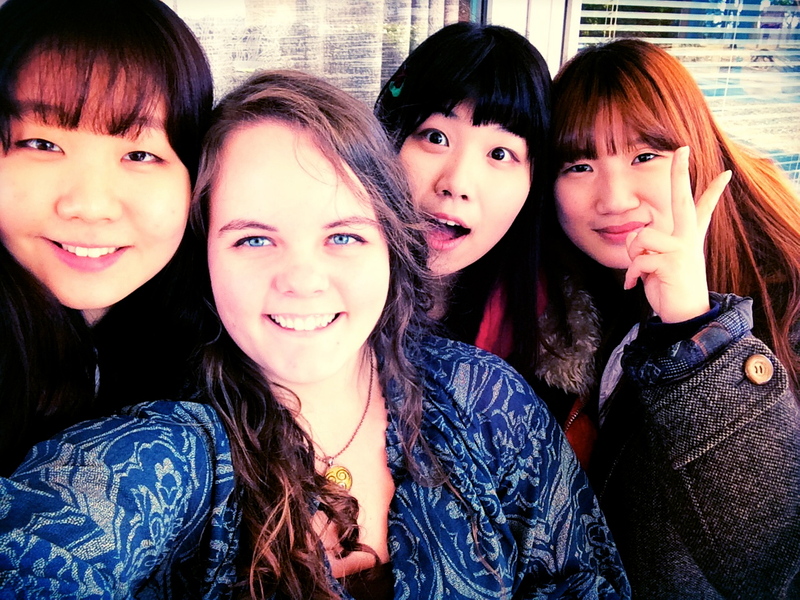 These wonderful people left for New York today, and later will return back to Korea. I am so excited for them to continue their journey, but I am also sad to see them go. I happily stayed up past my bedtime on various nights just to spend time with them, and I would gladly do it again. This experience has been quite an adventure, and so I give a shout-out to each of you: MJ, Ssoo, Ann, Jenny, Sodam, Kong, Hee, Kim, JK, and Shim! Thanks for being awesome friends and I wish you the best of luck in the future. God bless. Now, onto other book news. I’ve been writing periodically on Book 2–I typically try to work on it a little each day, even if it’s just to read over what I’ve written and brainstorm for the future. So far, I’ve made it to around 40,000 words while keeping up with my homework, so I’d say that’s a plus. My roommate is certainly enjoying my little writing spurts, as I’ve occasionally asked her for her help on words I cannot think of (I usually figure them out after a minute or so of intense thinking, so her help typically goes unused), and on a few occasions I have flopped over groaning because my darn characters just won’t do what I want them to. Gosh, Xavier. Quit being so annoying. So shout-out to Michal, also, for putting up with my writing shenanigans and for being cool enough to tell people that I’ve written a book. Aside from that, I attended the B’ham Local Authors Expo and met some pretty cool people! One of them also thought I was cool, and she was so awesome as to host me on her blog! Check it out here and also take a look at her novel, Heir to the Lamp! Oh, and if you look at the before mentioned blogpost, there is a giveaway for Mark of the Corripian, so don’t miss out! You must enter before 28 February! That’s all the craziness of my life that I can think of to share with you right now. I hope you all have a safe and blessed weekend. Big Plans for the Future! Speaking of later books, I’ve been working diligently on Book 2! This one is going to be SOOOooooOOoOOoO much more awesome than MotC, in my opinion. To give a little sneak-peek into what you’ll be reading, I’ll say that a lot of secrets (particularly regarding Xavier’s past) will be revealed, and the true nature of the SCA will be completely unveiled. In fact, half of the book will take place AT THE SCA. Whoa. Real life. Going back to Book 2, I will say that I have almost kept up with my 2,000 words-per-day goal… I’ve slacked off a few days, but have written/edited at least a little every day since I set my goal, which is far better than what I did for the first book. I’m setting a goal for myself to finish this book before my 20th birthday (December 8th). I believe I can do it!! It will just be very interesting to see how much time I am able to devote to writing while going to college… Which will begin in less than a couple weeks! I’m super stoked. Aside from that, I recently had an interview about my writing and publishing process that is featured on al.com. If you’d like to check it out, click here! Another thing to keep in mind is that I’ll be at the Local Authors Expo at the Birmingham Library on February 1st. Details are on the “Events” tab at the top of the page. For all those who have read MotC, I would greatly appreciate it if you could visit Goodreads and leave a quick review or rate my book, just to help get the word out! It’d only take you a few seconds. If you want to check out Mark of the Corripian on Goodreads, click here. This week has been super exciting for me because I RECEIVED MY FIRST SHIPMENT OF BOOKS!! Of course, these are pre-release copies, meaning that Mark of the Corripian is not yet available from book stores. It is, however, available directly through my publisher or directly through me. Also, if you are interested in reviewing Mark of the Corripian, send me an email at bhparker@ymail.com and I would love to send you a copy! But I guess what some people don’t understand is that this book has become very personal to me. I crafted the characters, the scenes, and the story in general, to sort out different things in my own life. Maybe that sounds weird to you–especially since Mark of the Corripian is based on a different planet with characters who possess superpowers–but that’s just how my mind works, I guess. All the characters have bits of me in them–my good qualities, my bad qualities, my fears, my struggles, and those things that I never let anyone else see. So I guess it’s a little frightening for people to read this book because it’s as if they’re reading my story. It’s the story of how I feel on a daily basis, my thoughts on other human beings, and also the person that I want to be. Of course, if you read Mark of the Corripian, you will be very confused, wondering how in the world it is about all that because the story really has nothing to do with those things. But it does. Every chapter, every scene–I could tell you exactly why I wrote it and what it means specifically to me. Even the little parts of the book that might seem pointless or unnecessary–they mean something to me. I can tell you specifically one part of the story that holds the most meaning for me: Xavier Patrocinor. Yeah, he’s the super awesome male protagonist with a bad attitude and pretty eyes, but he’s so much more for me. I created him–a character with a chillingly brutal past in which he was responsible for bringing harm to multiple people–because I wanted to know–I needed to know–that someone who had made so many mistakes, someone who had strayed so far from the person he wanted to be, could still turn his life around. This was important to me in both a moral manner and a spiritual one. Growing up, I’d always been very critical of people, picking out all their mistakes and imperfections. Looking back, I guess this was my way of feeling better about myself–no matter what I did, at least I wasn’t bad as those people. This viewpoint shaped me into a very judgmental–even bitter–person. I could no longer see the good in people, only the bad. Anything a person did, even if it was an act of kindness, I would try to figure out the meaning behind it. Certainly the person had a hidden agenda. No one is kind just to be kind. It wasn’t after I began writing this story that I began to change my viewpoint. If you’ve read my earlier posts, you know that the story started off strictly in Zenia’s POV, and Xavier was simply a supporting character. It was after I made him a main character, after I began to formulate his past, after I began to really get to know him as a character–no, as a human being(because that is what he is to me)–that I started to see the world differently. Xavier is a part of me that I am not proud of–untrusting and judgmental. He is also a part of all those people that I would look down on a few years ago–people who have made mistakes they regret (and, of course, this is a part of me, too). And Zenia is in many ways the person I want to be. She is forgiving, trusting, and gentle. She doesn’t see people’s pasts; she sees them for who they have become, and she sees their potential. I’m certain that when some people read my book, they are going to be disappointed that Zenia is not your typical “strong heroine” who holds her own and never needs anyone else’s help–especially not the help of a male. I did not create that kind of heroine for many reasons, but specifically because I wanted to consider what an innocent, gentle, and loving young woman would do when everything she knew was taken from her and she was thrown into a war. What would happen if she was chosen to lead a cause she didn’t believe in? Could she do it, could she go against her belief in peace and in the thought that all humanity is innately good? Could she hurt another person–could she kill in the name of peace? These are all questions I want to answer in the Corripian Chronicles. These are questions I need to answer. So, all in all, I guess my reason for writing is figuring out the answers to all the questions in life that I can’t just ask any one person. Xavier and Zenia have given me hope on many days; they’ve shown me that everyone should be given a chance. They’ve encouraged me to strive to be a better friend, a better Christian, a better person. They’ve showed me that I can’t just believe in something–I need to have conviction in my beliefs, and I need to act on them. Have a delightful Christmas, and be sure to see the good in someone this week (and forever after)! And if that wasn’t exciting enough……..
MARK OF THE CORRIPIAN is now available for purchase!!! Click Here to Order Mark of the Corripian! Keep in mind, this is not the official release of the book. It is currently only available through my publisher (and directly through me at book signings and other events). But now is the perfect time to get hyped up about it!! I also have t-shirts for sale ($10) to get the word out for the book. Currently the shirts are only available for those who live in my area, but if anyone really, really wants a shirt, I would be delighted to find a way to get it to him or her! As far as the writing portion of my life goes, things have been very slow lately. Book 2 has been giving me quite a lot of trouble, and I haven’t made much progress in a while. But I’m remaining hopeful because this school semester is winding down, which means I will have plenty of time to devote to writing!! (For at least a week or so…) I’m really working on planning this book out since I did absolutely NO planning on Book 1 (not a great idea, folks). And it turns out that planning can be quite stressful because, well, my characters have minds of their own and they don’t always like to go along with my plans! So then I must figure out new plans to go along with my fickle character’s crazy life decisions, and that is rather frustrating at times. Yet, it makes this whole process all the more entertaining for me. Anywho, I believe that is all I have today. My family is having friends over, so it’s time to clean the house! (Oh, goody) Be sure to check out my Facebook page and follow me on Twitter and Instagram for other information about the book! I will also be having a contest soon in which you can win a free promotional t-shirt and an autographed copy of Mark of the Corripian. Details will be on my Facebook page. Have a blessed day and keep reading! I hope this post finds you well! Personally, I’m having quite a swell day because it’s cloudy outside and the temperature is mild and the leaves on the trees are changing colors! OHMYMUFFINS IT’S FAAAAAALL!!! Just so you know, this is my favorite season (pop quiz later, so remember that). And speaking of favorite seasons, Xavier’s is winter (because it’s cold and he’s very, very warm natured, so the low temperatures are actually comfortable for him) and Zenia’s is late spring (because that’s when her favorite flower blooms). Yup. Fun facts. SOOOOOooooo. About the book. Things are taking so very long, causing my stress level to runneth over the very small cup that I am able to cope with. ;–; But that’s okay because it’ll be over soon (I hope). And I’m not talking about the book in general; I’m talking about the actual process of getting the book to the finished form which all of you will read. I’ve gone through a lot of bumps in the publishing road, and the before mentioned stress has managed to block my creative juices (on multiple occasions). I’ve written around 70,000 words on Book 2, but I can’t seem to continue at this point (which probably means some major editing is in my future). Instead of writing, I’ve found myself watching quite a few television shows since I found out that my dear brother has a Hulu Plus account. *v* And I’ve found that TV shows can actually help those creative juices get to flowing again sometimes!! Yay!! Haha if you’re wondering what kind of shows I’ve been watching, here’s a few I can think of: Prison Break(the ending was HORRIBLE), Grimm(I love the fairy tale references), Once Upon A Time, Graceland, NCIS/NCIS LA, and AVATAR: THE LAST AIRBENDER. (Did you see the one in all caps? Yeah, that’s like my favorite show OF ALL FLIPPIN TIME. If you haven’t ever watched it, WELL WHY NOOOOOTTT??? Go watch it. It will make your life better. Seriously. Oh, and I just started this new show called “Tomorrow People,” and it sounds promising. All right, so as you can see, I’ve been spending quite a while doing much “research” (the word I use when my mother asks me what I’m doing). AND NO, IT HASN’T BEEN A WASTE OF TIME. It’s given me some great ideas, actually. I’m a very visual person, so sometimes seeing something acted out versus reading it in a book can help me to visualize a scene in my head that I’d like to use in my book. I think this is one of the reasons I like manga so much. Haha. Yeah, so back to book things. At this point we are looking at the end of November for the availability of Mark of the Corripian. Keep in mind that this is NOT the official release date. It will not be available in stores online at this time; it will only be available through me (I will have a link on the website when the time comes) or through my publishing company. It will be available in paperback and e-book. But the official release date will probably be in or around February. Yes, this is completely unrelated to my book or anything that has to do with writing, really. But that’s okay. 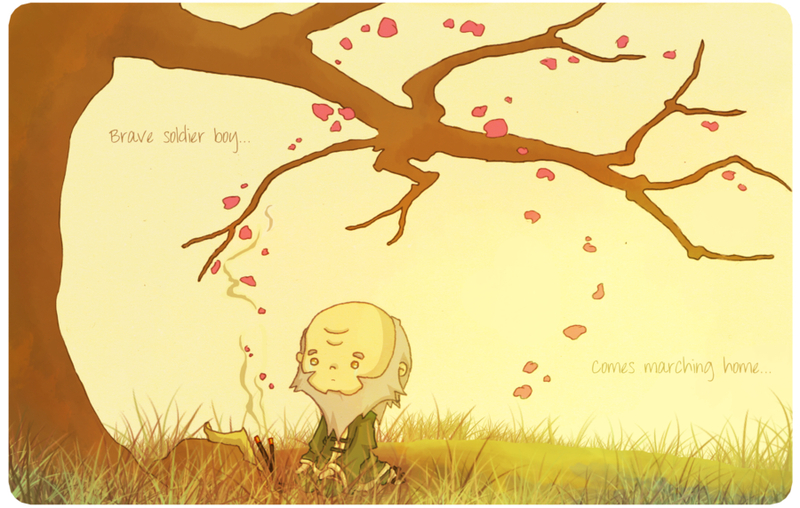 I just want to share with you the awesomeness that is Avatar: The Last Airbender. And further encourage you to watch it so you can get to know my favorite television character EVER. That is all. Have a swell day.